Despite being raised in an idyllic environment on the East Coast of the United States, because of my own childhood illness, and my parents’ horrifying tales of World War Two, I was painfully aware of the nature of suffering from an early age. I grew up on Long Island, went for two years to a New England boarding school, left and graduated from public high school in the midst of the counter-cultural revolution of the 1960’s. ​As karma would have it, my older brother had left a copy of The Tibetan Book of the Dead on a shelf in our bedroom before he went to serve in Viet Nam. Over that winter and spring of 1968 this curious book gave me the flavor of the path, and the direction I was seeking. It could be fairly said that Tibetan Buddhism has guided me from the very beginning of my path. 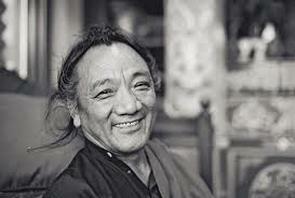 ​After years of seeking around the world, I took refuge in 1979 with His Holiness Dudjom Rinpoche in New York City. ​Living in New York City and then later Boulder, Colorado, I was introduced to transpersonal psychotherapy, and began working on my own relationship and career struggles. 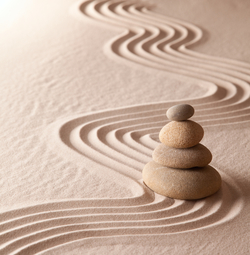 I spent over 12 years altogether with non-dual, transpersonal, and Buddhist therapists. I attended the California Institute of Integral Studies for my Masters in Counseling Psychology, and became licensed as a Marriage and Family Therapist in California. Along the way, I generated a profound respect for the Sufi and Taoist and shamanic traditions, and explored other schools of meditation. In Boulder, I met Dr. Yeshe Dhonden, and began many years of work with Tibetan medicine as a patient, studying how the system could inform me about the nature of my temperament and how to work with it skillfully. I was also introduced to Tibetan and Vedic astrology by my second Tibetan doctor, Dr. Dickey Nyerongsha, and was astonished to find how helpful it was. Eventually, in the late 90’s, through my old and dear friend, Jeanne Chapman, I met my blessed teacher, Lama Pema Dorje Rinpoche, and began practicing the dharma more seriously. For ten years I did Tara practice in the Dudjom Tersar tradition. I received empowerments for Phowa, Jambhala, and Lu jong longevity practice. I eventually received empowerment to do extended Ngondro practice at home, as well as Riwo Sangchod. This has been my main practice for the last four years — while working, being married, and raising our daughter. Spiritually, working under Rinpoche's guidance has been the most transformative experience of all, and I remain profoundly grateful. ​In terms of living in the world, I have also had many years of struggle and success, failures, and resilient bounce-backs that have informed my work as a therapist and coach. In fact, what inspires me to work with other practitioners is this very real taste of how challenging it is to live in the world, while continuing to be a student of spirituality. Like most of my clients, I have experienced being married and getting divorced. . . marrying again and it being happy. . . serving young people and their families as a psychotherapist. . . losing loved ones to death and substances. . . discovering the miracle of parenthood later in life. . . going through stormy financial ups and downs. . . feeling creative frustrations and satisfactions. . . finding, losing community, and then finding it again. . . and on, and on, these are all experiences I draw on in my work as a therapist and coach. 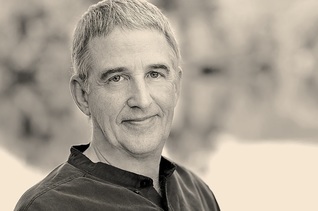 This spiritual-life-in-the-world, along with the transpersonal graduate and post-graduate training as a psychotherapist and professional coach, provides the resources and clarity I bring to my work. My goal as both a therapist and professional coach is to help people integrate an understanding of Western psychology and culture with spiritual practice. One of the ways dharma will continue to manifest in the modern world is if we help those people who are living as householders achieve the good, healthy, and necessary goals of life. And to help them deal with the dual stresses of a) living in the modern world as practicing householders, and b) the stress and growing pains from spiritual growth. My professional training as a counselor and therapist began as a grief and phone counselor at the Marin Suicide Prevention Center, and the Buckelew Houses in the 1980’s. I did my graduate studies in Counseling Psychology at the California Institute of Integral Studies, and received my Masters in Counseling Psychology in 1993. ​Six years later, after a long internship, I was licensed in California as a Marriage and Family Therapist. After several years of considering the vocation of psychotherapy vs. helping people with coaching, I decided to pursue a certification in that profession. I received a coaching certification from the International Coach Academy.